The Kensington is an enhanced assisted living and memory care residence located in Westchester County. 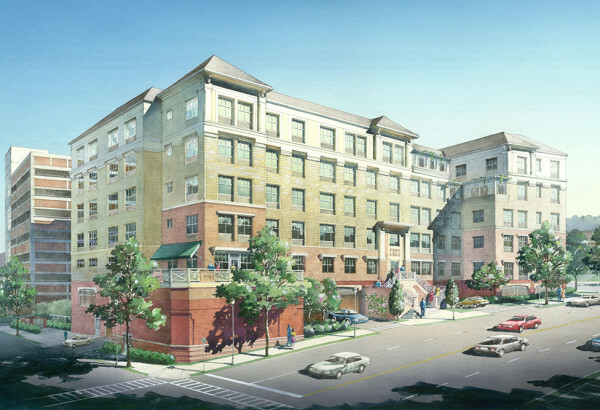 JMC was engaged by The Kensington to redevelop a City of White Plains Urban Renewal property located along the Post Road and Maple Avenue corridor with an 88-unit facility. The urban property maintains frontage on three different streets and is immediately adjacent to a multi-level parking garage. The close proximity to the parking garage required the design team to focus on the narrow garden area which separated the two building. This included the design of an elaborate garden areas as well as the design of green wall on the parking garage. JMC was responsible for the design of the various engineering documents required by the City during the entitlement process. 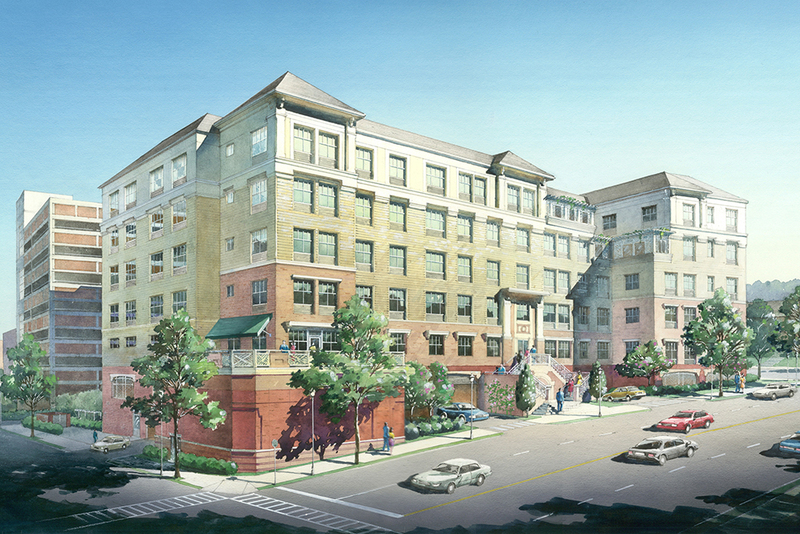 This included off-site utility improvements which were necessary to support the proposed redevelopment.